Got my phone tripod delivered today from amazon so went to the range tonight. Main points of focus were posture and centered turn/pivot. I was blown away by the results. For the first time ever, the ball was consistently drawing and ball flight throughout the bag was higher than usual. It was a controlable draw roughly 5 yards or so and definitely am fine if that becomes my stock shot. I didnt have any irons move left to right like they normally did, and I have never hit the driver as consistent, as straight, and as high as I did tonight, even had a couple slight draws with the driver. I used to have 2 or 3 out of every 5 drives that would be massive slices to the right, tonight I had one slice to the right out of around 20-25 drives. 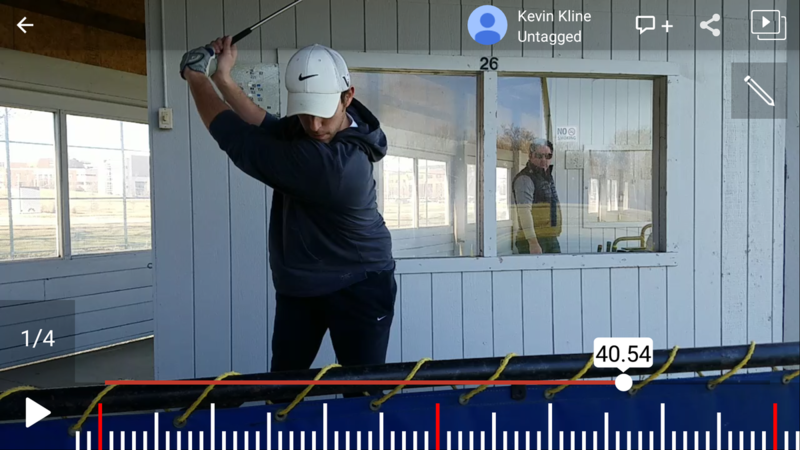 The flight surprised me because i wasnt thinking about path or backswing or anything like that at all, just making sure my posture at address was correct and then trying to stretch my left lat down and across my body. It looks like I could probably use a little more axis tilt backwards, but the results I had tonight was the best ball striking I've had in a long time and the change of ball flight was definitely a pleasant sight. Here is the face on video, its the best I can get until the grass hitting area opens probably in March. @iacas @mvmac thank you so much for the help already its made quite a difference already. Any thoughts on how this looks? I can add a DTL of iron or driver if those will help too, but I really want to make sure I get the centered pivot down before I move to other priority pieces. I really want to make sure I get the centered pivot down before I move to other priority pieces. It's going to take some time, yes. My thoughts. Basically the same stuff that has been said but maybe saying in a slightly different way. Had a half day at work today and its in the 50s here so went back to the range. 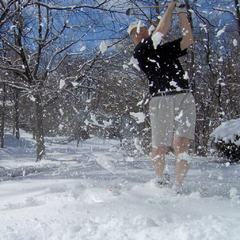 Ball striking wasnt quite as solid as last night but still way better than where I was even a week ago. Ball flight was still very high, I've never hit a 7 iron that high consistently, draw was still also present, drives were straight to drawing, no big slices at all. It was nice to see. 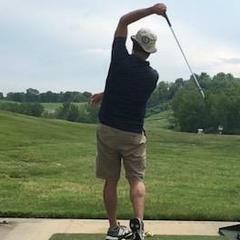 One thing I noticed is that theres a certain point in my backswing towards the top where as soon as my hands and club reach that point, then my head and body dump forward. As long as I keep my hands/club below that point, I can get to (what I think are) decent looking positions. 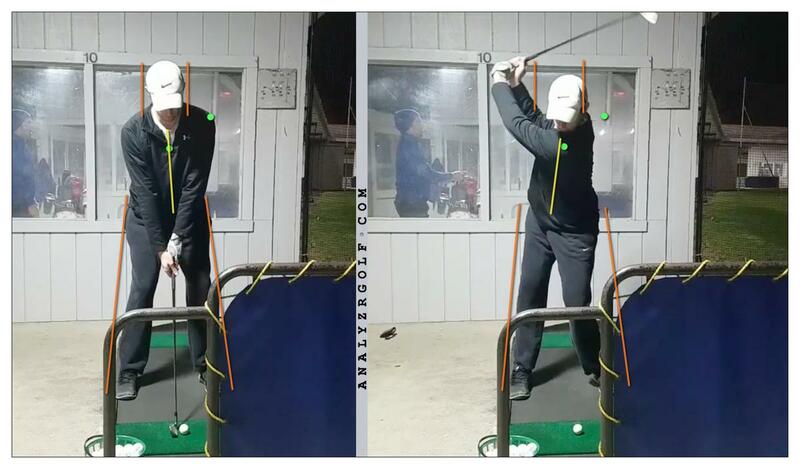 I really start to tip forward when my hands and club move further back than they did in the bottom picture above. 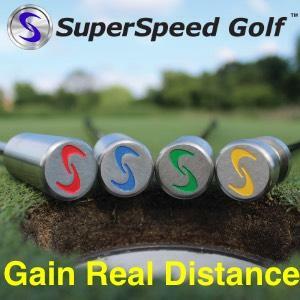 I wasnt losing any distance with the slightly shorter backswing so I'm going to build off of these recent range sessions by doing dry swings and my super speed training for a few days at home before heading back to the range. Still continuing to work on the centered pivot piece. Without even thinking about downswing, club path, etc. I have eliminated the massive slices that used to happen with the longer clubs so that has been nice. I am still seeing the right to left ball flight when I make the centered pivot and dont allow my head and torso to drift down and forward. I still have a slight shift down and forward with the torso, but it is significantly better than it has been previously. 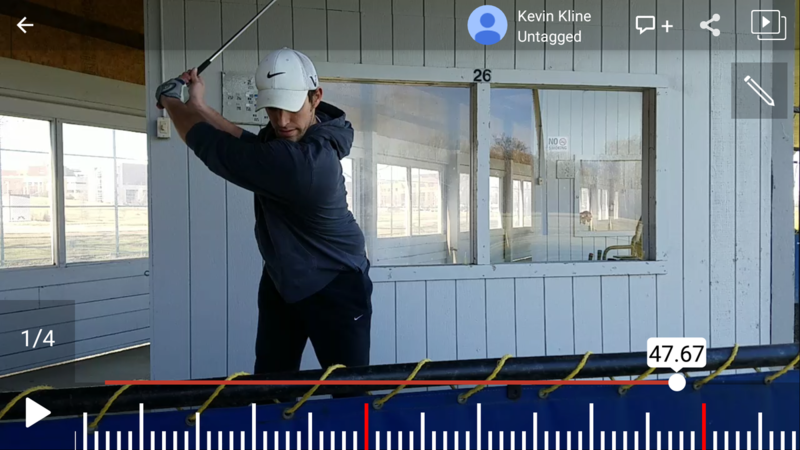 Feelings of moving my left lat straight back and feeling like my entire torso is leaning away from the target are the swing thoughts that have been helping me get into the better positions. I've noticed that the number of mishits has decreased substantially, especially with the driver, which is what is pictured below. I'd be curious as to the shoulder pitch as seen from Down the Line in that video. Looks a bit flat. I didnt get and DTL footage from this session, I'll grab some next time I'm at the range. It's possible that the shoulder pitch is too flat, I was trying to stay more upright because my tendency is to slide both down and forward with my torso. Any ideas for how I could secure an alignment stick to the ground and have it straight up and down off my left side? 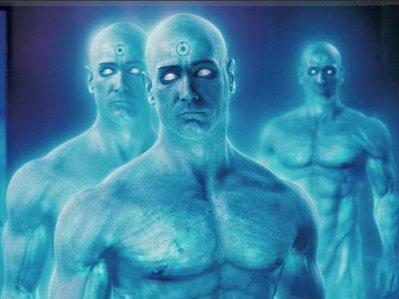 I think I need to see/feel something there to instantly make me aware that I'm still drifting down and forward. When it is warm outside I just stick it in the ground, but thats not really an option when hitting off of a mat with concrete underneath. Just orient the logo on the ball so it's on the back side of the ball, and one is on the front, and try if anything to see the one on the back more, and not to see the one on the front more, during the backswing. There are a lot of products that do what you want, otherwise. 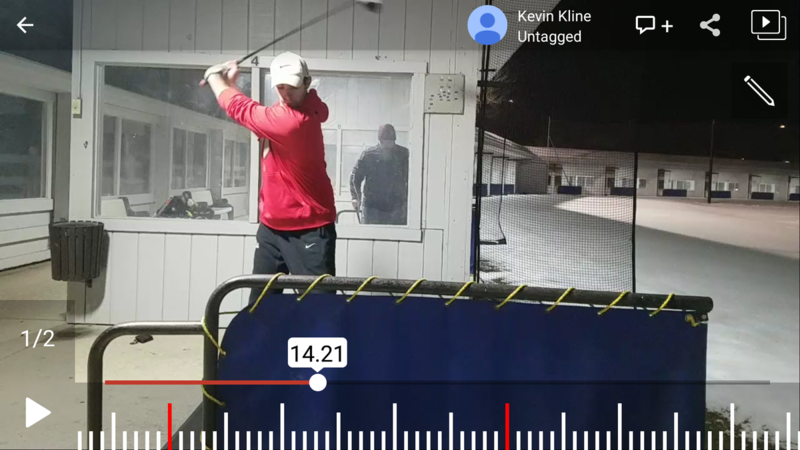 Had a decent practice session Saturday, and a great session tonight, finally feel like I've turned a corner in regards to the centered pivot, especially with the driver. I'm continuing to hit it straight and consistently out of the center of the clubface. Out of 30 ish drives, only had 2 that were bad hits. Still have a slight dip down with the irons but its significantly better and am maintaining the torso angle away from the target. Going to take the next few weeks to get the iron swing locked in and hopefully an actual round or two to really make sure I nail this piece before thinking about moving to another piece. Been a few weeks since an update here. Still working on the centered pivot piece. Did my first round in 2018 on Sunday and had the best driving day of my life. Set a new record on GameGolf for fairway accuracy, 0 lost balls and 0 penalties. 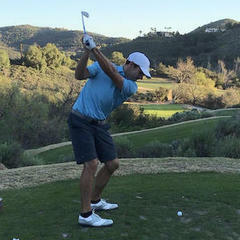 The centered pivot work is already paying off in driver accuracy and confidence. Short game was rusty but I think that will come back as I start to play more in 2018. Went on a guys trip for a long weekend to Kentucky a few weekends ago and played pretty well. Did one round using my own ball, that was an 81. Solid round, the course was really hilly and huge drop offs around the greens. Played a 2 man scramble the second round and my partner and I made 3 birdies on the first 9 holes, 2 of the birdies were using just my shots. Didnt swing at all the last two weeks, went to the driving range on Sunday and swung pretty well. Drives were spot on, and irons were decent too. I can really feel a difference in strike and consistency when I make a centered turn and when I dont. It's still a work in progress but it's becoming more automatic. Have a tee time for Saturday morning if the rain holds off. Did golf saturday, score ended up better than I felt I deserved. Driving was solid, kept it in play with decent distance on most. 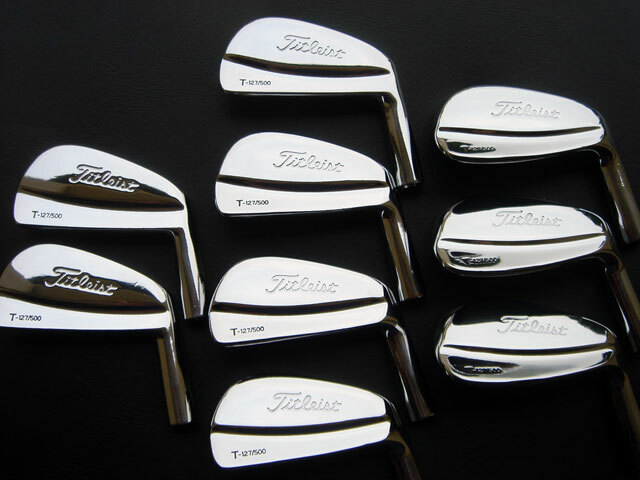 Irons and short game were awful. only hit 4/18 GIR. Setup position was poor and forgot to focus on the centered pivot piece which lead to some awful iron shots. Putting was excellent, made 7 putts of 6 feet or longer. Made a few tweaks to putting motion and grip pressure while putting at home and that made a huge difference. Went to the range yesterday, first time videoing my swing in a while. Still working on the centered pivot/steady head piece, I feel it has gotten a lot better since last fall/winter. Still looks like my head dips down some, is that something to worry about or is that ok? I tried a few swings to keep my head up and not let it go down and I just topped and thinned the ball. Shortening the backswing has helped a ton, and I havent noticed any loss in distance from it. As always, any thoughts or advice is always appreciated! Was deciding between the Swing Radar to go along with my DIY SuperSpeed golf sticks or the Hanger from Watson Golf, and decided to go with the Hanger. 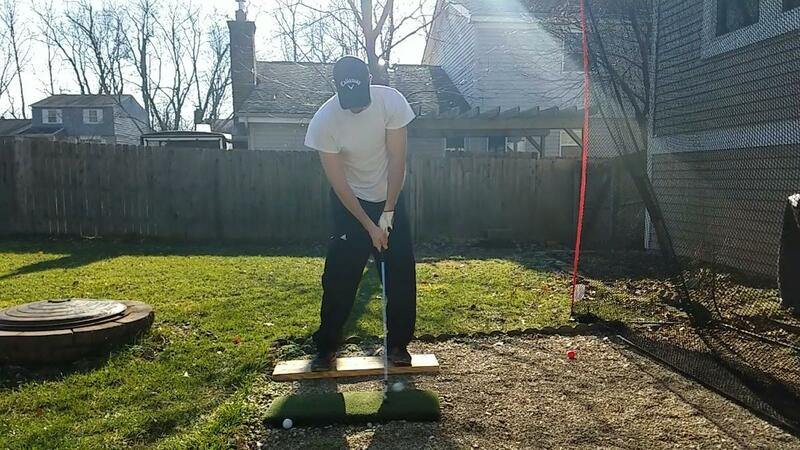 As it is right now, distance isn't my limiting factor (obviously everyone can benefit from more distance and speed), its consistent contact and strike, part of which is caused by the ugly flip I have in my swing, so thats why I went with the Hanger. I will post my thoughts and a video once the product arrives and I start using it at the range. Head lowering early downswing? Not a bad thing, it's something most good players do. Left shoulder looks like it could work more under the chin. Make some practice swings getting the pitch of the shoulder steeper. Brief update here, my ball striking with the irons has improve quite a bit since getting and using The Hanger. I still have some flip at the bottom when I dont actively think about keeping the left wrist straight, but its better than it used to be so its progress. Was at the range last night and was hitting next to a professional long driver which was pretty cool to watch. He was really nice and said he used to be a former instructor and asked if I minded if he gave me a tip for my driver. Once he started getting into his tip, it came down to keeping my head back on the drives and not letting it slide forward. Something I already knew and had been working on, but had kind of gotten away from. For some reason hearing someone say it in person and the way he explained it helped really drill it into me. I was hitting driver much higher and straighter with not a single slice/fade to the right after spending about 20 minutes or so talking with him and him watching/helping with a few of my swings. 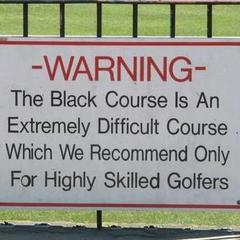 Have a round this saturday and an outing next saturday so excited to get on the course and see what happens. Going to pick this back up again now that I have a net and mat so I can practice at home. Main swing thought at the moment is from the top of the backswing, get the left shoulder to clear out of the way/being more open on the way down and through impact, which is helping with a number of my swing faults including steady head and straight left arm/wrist/flipping. 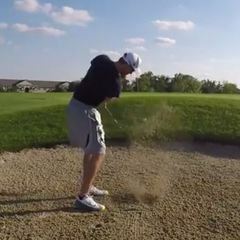 When my left shoulder doesnt clear out, everything gets bunched up and stuck, my head dives down and forward, and I flip right before impact. In the videos below it's not where it needs to be, but it's better than where I used to be, especially with being more open at impact. This is a pretty big change so I expect it to take some time. Here was face on at impact last Jan. compared to impact today. Still isnt perfect today, but quite a bit better than it was previously. As always I appreciate any tips or advice! There's a lot there I'd work on before… what are you working on? Turning more on the downswing? 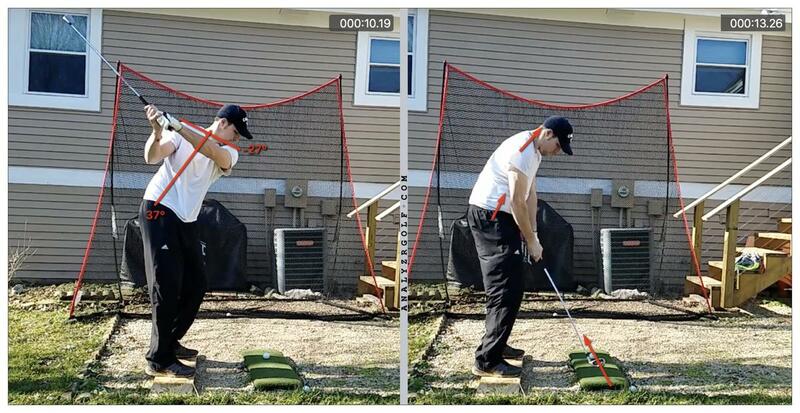 Yes I am working on turning more/being more open on the downswing, and I am doing that because it has been the most effective thought that has helped with the bent left arm/flipping through impact, which is what I have made my priority piece at the moment. 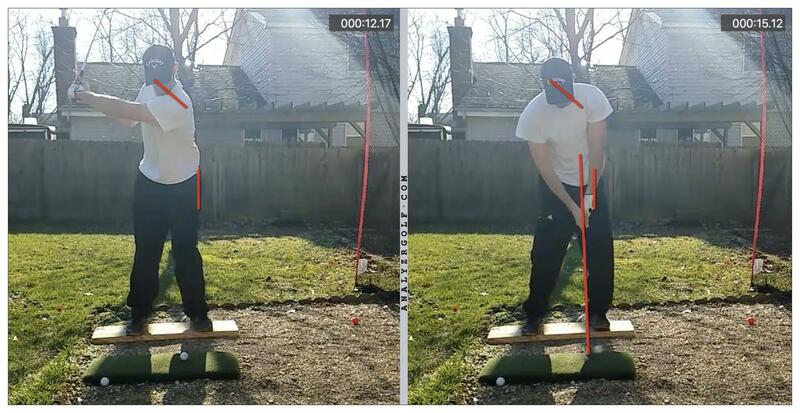 Regarding the top two pictures from the DTL view, are there pieces there that need work before I keep trying to improve the flat left arm/wrist?